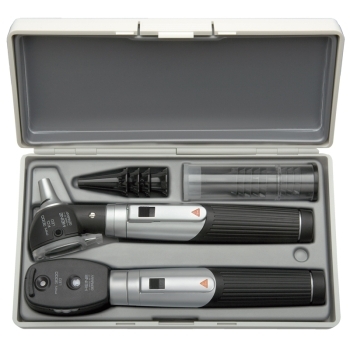 Modern Ophthalmoscope and Otoscope with maintenance free LED illumination - twice as bright as a conventional Xenon Halogen. The maintenance-free LED has a lifespan of up to 50,000 hours. 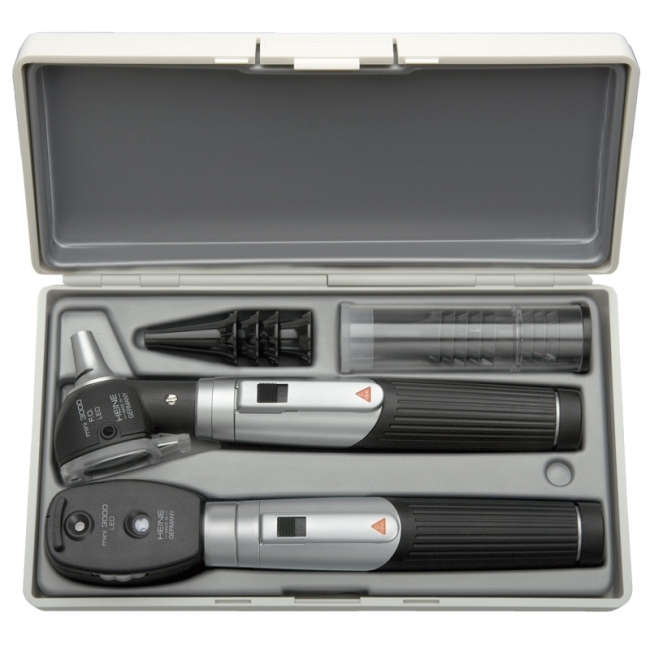 2-piece handle and head are compatible with other mini 3000 instrument heads and handles. Distal Fiber Optic illumination allows reflex-free illumination of tympanum and ear canal. Colour rendering enables one to capture true tissue colour for accurate diagnosis.